By default, orders written on the Seller side will be set to Future mode instead of At-Once. 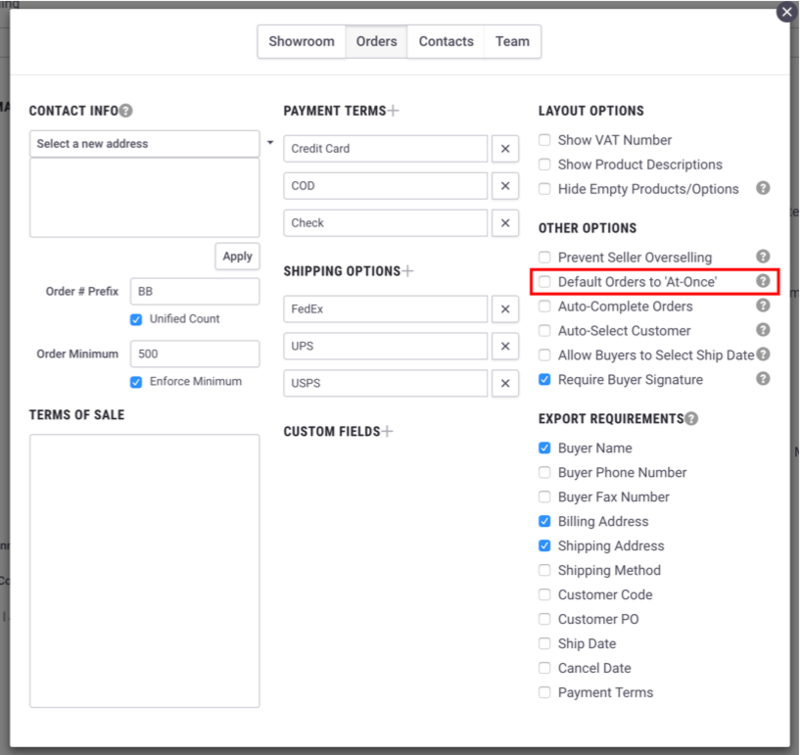 If you are working with Inventory, it may be a good idea to enable this Setting to ensure that no Orders are written incorrectly. To change this, open the Order Settings panel and check the box for "Default Orders to 'At-Once'." See Order Settings to learn how to access this panel.